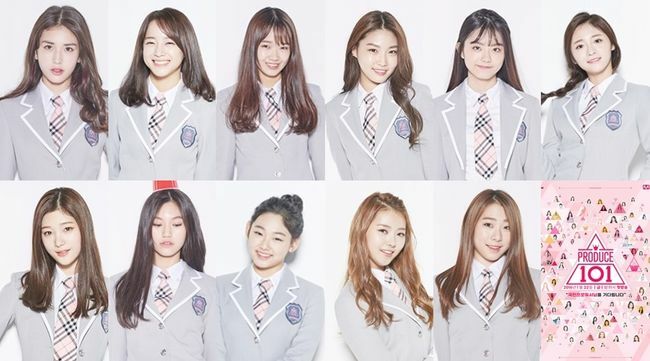 Kpop rookie girl group IOI is ready to make a debut. The girl group has recently filmed a music video for its debut song and will release debut mini album on May 4. The 11 members from 8 different kpop agencies are riding a wave of public interest, while people in the world of kpop say they look set to win a great success after their debut. Yeah, it seems like they're already stars and they've been chosen as models for various brands in Korea. That's why the IOI members will experience a fierce struggle for existence during IOI's activity. Kpop idol groups usually say the team is more important than the individual. Yeah, that's right. However, for the IOI members, the individual is much more important than the team. Each member has to survive as an individual. They're a team now, but they will go separate ways soon. Kpop manager's comments about IOI here. Each kpop girl group has its "ace member" such as Miss A's Suzy, AOA's Seolhyun, and Girl's Day's Hyeri. When a girl group debuts, its agency usually tries to highlight the ace member because it could help the girl group become popular. However, IOI can't take advantage of this strategy because the girl group is consist of 11 members from 8 different agencies. The individual is more important than the team for the IOI members, and of course, all the members will want to be the ace member of the team. I'm very worried if there is a war of nerves among them and they're on bad terms.